Today marks the first day of our third trimester so it seemed like the perfect time to share my latest baby gear face lift. Today's project features this Ikea High Chair (tray not shown). This was the quickest project yet. 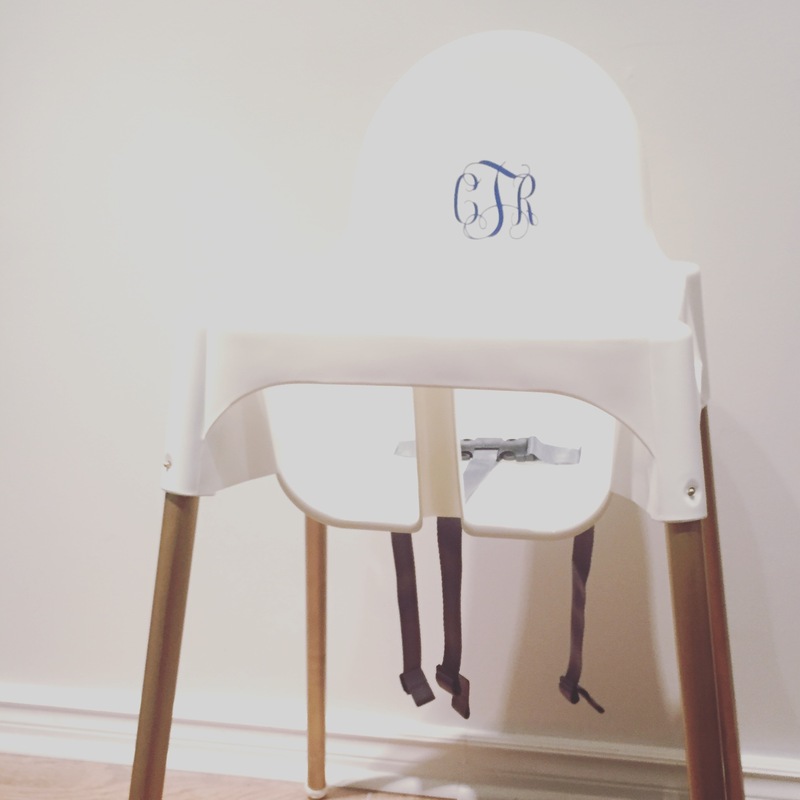 In keeping with our colour scheme I just upgraded the legs with some gold spray paint and applied a darling monogram in royal blue from GardenCityBoutique that I picked up on Etsy for under $3. Beautiful doesn't need to be expensive. This project comes in under $25 and matches our chairs perfectly.